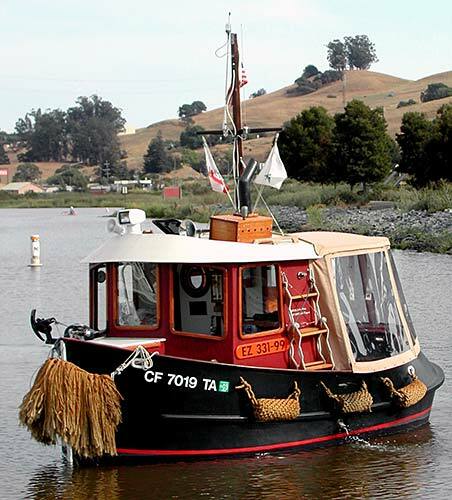 GUNKHOLER travels the waters of San Francisco Bay and the Petaluma River. 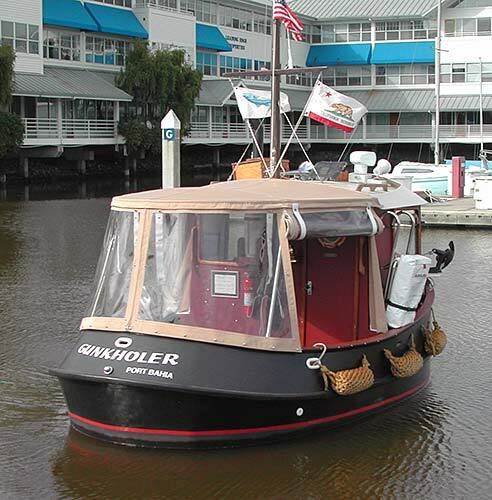 Builder John Price has been peacefully gunkholing these California waters since the launch in October 2002. 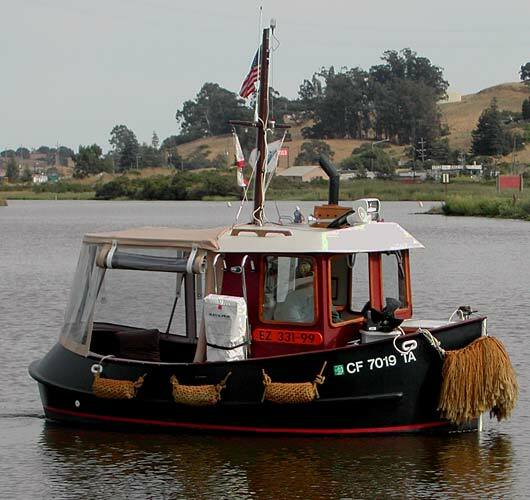 Just 14'3", but generously equipped by John with a 20 hp Yanmar diesel engine, radio, hailer, stereo, propane funace, and gas light. The designer is Berkely Eastman, Berkeley Engineering Company, 1640 Reche Road, Fallbrook, CA 92028-3621.